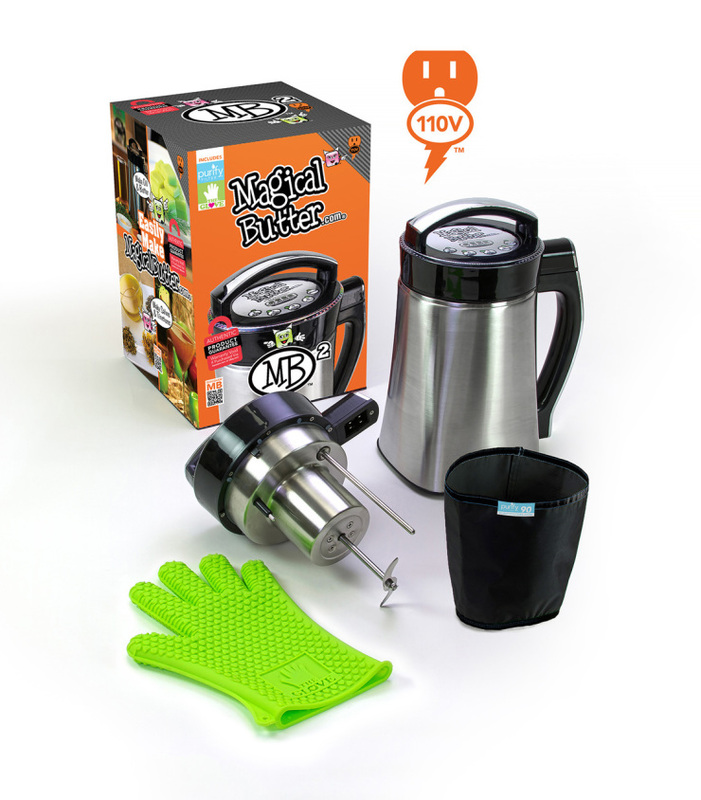 MagicalButter Machine Makes Weed Butter For Fantastic Brownies | OhGizmo! By Carole Smith on 09/08/14 • Leave a comment! Making your own weed butter at home is no simple task. Your dwelling usually ends up smelling really strong, and it’s just a generally somewhat labor intensive process. Not so with the MagicalButter MB2. Looking somewhat like a teapot, you simply have to drop your herbs in, some butter, and press a button. The machine takes care of the rest, producing THC-infused butter which you’re then free to use in your various recipes. Magic cookies? Check. Magic caramel-wrapped stick of butter, Homer Simpson-style? Check. Granted, it’s a little expensive at $175. But if you’re stayed away from baking your own magical goods because of the effort required to make the butter, here’s your solution. Incidentally, the MB2 is not restricted to making butter, but can also make oils and tinctures, is self-cleaning, and doesn’t look like anything a stoner might use. This way you can go somewhat incognito, if that’s your thing.